Santa Barbara’s premier beach neighborhood with bluff top homes. Shoreline Park is perfect for those who love an active, outdoor lifestyle. A friendly, open place where it’s easy to get to know neighbors. The Mesa is a fantastic place to live for so many reasons. The terrain varies from sloping terraced streets to hillside lots with stunning ocean views. 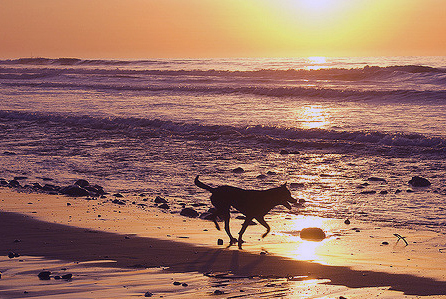 Shoreline Park is the perfect place to take Fido for a walk, take in a run or host a party. If that weren’t enough, Hendry’s and Ledbetter’s beaches are minutes away. The eastern edge of The Mesa is home to Ellings Park. Spanning 230 acres, Ellings has something for everybody. If you are a foodie, the Mesa has some of Santa Barbara’s best restaurants. Chinese, Vegetarian, Pizza, Italian, Mexican and classic American bistros are all close by. It is no wonder the Mesa tops so many people’s list of places to live. I’ve lived in many places. The Mesa is my favorite. I actually know my neighbors and starting my day with a walk down Shoreline Park or Hendry’s makes me smile inside. The Mesa features a variety of properties within 3 major regions. Each area has its sweetness and lifestyle benefits. East Mesa, also known as Marine Terrace, is generally bounded by Shoreline Park, Cliff Drive, and Meggs Rd. The land gently rises from the ocean to Cliff Drive creating stairstep streets. Some homes have ocean views, and all are a stones-throw from the park, Ledbetter Beach, and Santa Barbara City College. Many of the homes are variations on California Ranch style homes mostly built in the 1960’s and 1970’s. West Mesa is bounded by the ocean, Cliff Drive, and west of Meggs Road. Some homes are literally on the cliff overlooking the sea. Many homeowners love the area for its proximity to Hendry’s Beach, Douglas Family Preserve, and Mesa Lane Steps leading down to 1000 steps beach. BTW… it’s not really 1000 steps to the beach. There is quite a mix of homes in West Mesa from large single-family properties to small cottages and condo/townhouses too. Locals might say that much of West Mesa is a bit more “beach-funky” that East Mesa. Alta Mesa is the biggest area on The Mesa. Unlike its neighbors to the south, many of the Alta Mesa homes built on high coastal hillsides. Dramatic ocean views are not uncommon and tend to sell quickly. To be honest, most all homes on The Mesa find their new owners swiftly. We interviewed residents of The Mesa asking them their thoughts about the pros and cons of the area. We have a separate article with the information gathered. Hope it helps you with your search for the perfect place. 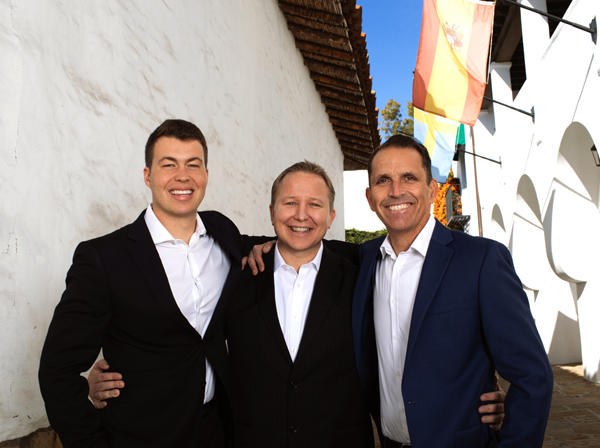 Joe and Garrett of The Santa Barbara Group bring 30 years of real estate knowledge to the table plus the insight only a native born can offer. When you want a home in The Mesa, their full-time passion for helping people find just the right home and negotiating a great deal will be on your side.